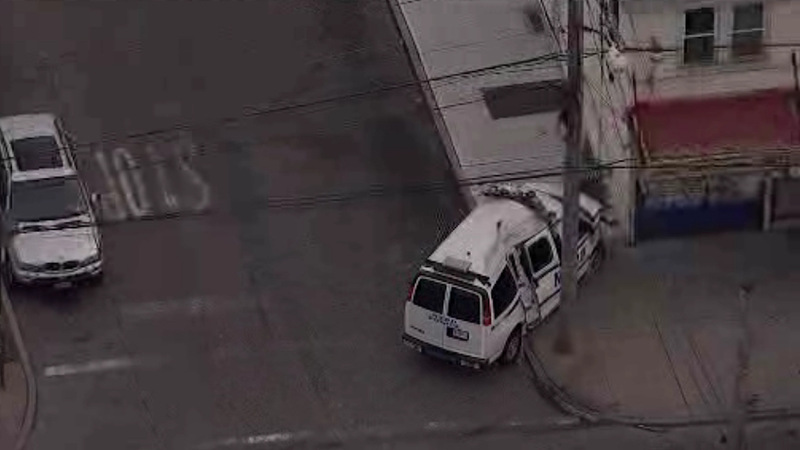 ST. ALBANS, Queens (WABC) -- An NYPD van crashed into a utility pole in Queens. It happened at 120th Avenue and 197th Street in the St. Albans section just after 3 p.m.
A second vehicle is believed to have been involved in some way. Three people were taken to North Shore Hospital. All suffered non-life threatening injuries.